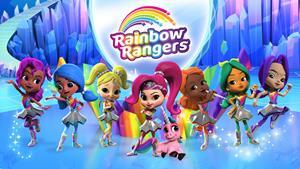 Genius Brands International's (Nasdaq:GNUS) new preschool series, Rainbow Rangers, currently airs in the U.S. on Nick Jr. with the launch of the retail program nationwide in 2019. We have just received the Nielsen ratings for our latest premiere episode (Sunday, Jan. 6) of Rainbow Rangers on Nick Jr., which generated our highest premiere episode rating to date with 455,000 viewers! The premiere episodes are broadcast on Sundays at 11:30 AM, and the encore episodes are broadcast Monday through Friday in the afternoon. The average ratings increased 29% across all demos versus the previous top-rated episode of Rainbow Rangers. Retention from our lead in, Shimmer and Shine, against our key demos, Girls ages 2-5 and Boys ages 2-5, increased 142% and 125% respectively. Simply put, this could not possibly be better news! More viewers, more engagement! The demo split between boys and girls continues to be very even (48-52 split), which again makes Rainbow Rangers a very desirable show across the board. Our best-in-class licensees are producing over 300 royalty-generating Rainbow Rangers’ products poised to enter the retail marketplace by the end of the year. And, the strong and growing viewership on Nick Jr. points to an increasing appetite by kids for Rainbow Rangers and the coming tsunami of products at retail. When we look back at the evolution of the Rainbow Rangers brand over the FOUR YEARS it has taken us to go from idea to product on shelf, we can see that this has been a perfect storm. The best creators together from Disney’s The Lion King and Frozen were recruited to create and develop the property. The leading broadcaster, Nickelodeon, was pitched and licensed the series. The top toy company in girl’s fashion dolls, Mattel, was presented the brand and signed up. The best-in-class licensees have been signed representing virtually every possible category across kid’s consumer products. The best broadcast pattern was scheduled by Nickelodeon (Monday through Friday AND an additional weekend broadcast). The best ratings have been occurring week in and week out since launch. Every week we have grown our lead-in show. Viewership is growing weekly, and there is every reason to believe it will continue. All of these together point in one direction, and we have every indication at this juncture to expect extraordinary results at retail. I have been in this business for three decades, and it is rare that I have ever seen a children’s animated brand that has checked all of the above boxes. Ninja Turtles, Power Rangers, Pokémon, Strawberry Shortcake, Barney, Teletubbies, Trolls and more... there have been many billion-dollar kid’s brands, but even amongst these named, it is rare to see all of the above boxes checked. I look forward to reporting much more great news as we gear up for our retail launch and get ready for next Christmas to be truly a Rainbow Christmas!! !